Why people need to travel? 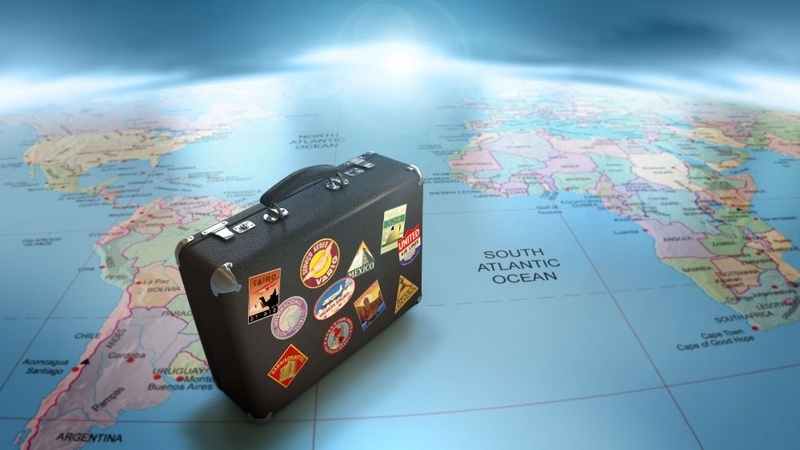 What are the benefits we could get when we travel? So when was the last time you travel? I’ve been travelling almost every year but it is a work related travel so there’s not much enjoyment in it although some of the benefits mentioned above could still be acquired, like when you understand the culture of other people living in the place where you visit it could help you understand your own culture more deeply. 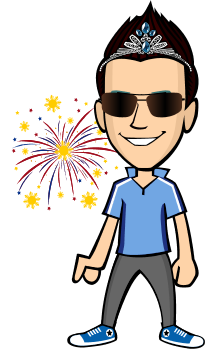 Aside from a work related travel, I’m glad I also had travelled to Hong Kong and Macau and did a blog for both visits. It was indeed a once in a lifetime experience that I could treasure the rest of my life. I know not all people are given the chance to travel abroad so such chance was indeed a great opportunity for me. Now I’m onto my next travel plans which I wish would be Thailand. Thailand is a land of surprise as they call it, and also known as the Land of Smiles, the country in Southeast Asia most visited by tourist, maybe because of their stunning beach resorts (crystal blue waters), not to mention their foods (that can curl your nose hairs) which is adored around the world and a lot more. And with 16 million foreigners flying to Thailand every year, that only mean that Thailand is one of the best tourist destinations that one should not miss to visit. Up to this time, many foreigners come to Thailand and later would have a hard time finding for reasons to leave which make them extend their stay against their original plans. 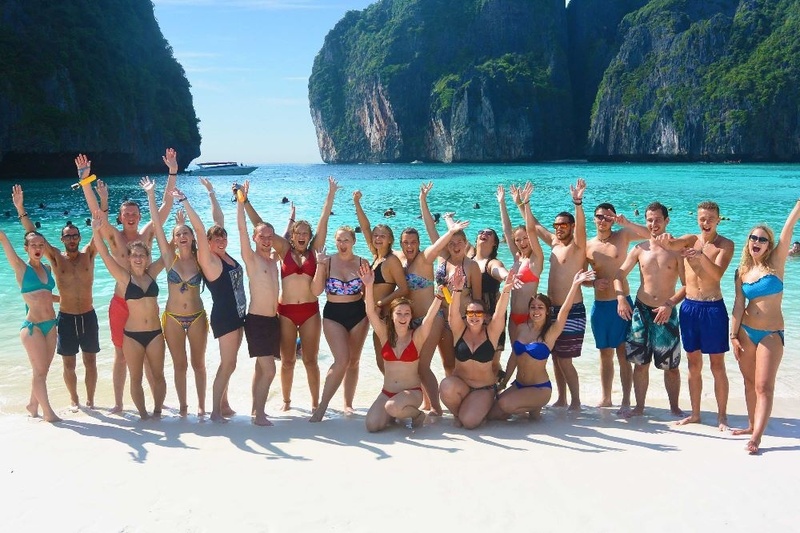 Sometimes they stayed for a year just to enjoy whatever Thailand could offer to them. So whatever your cup of tea, you can have it in Thailand, in other words, you can find almost anything in Thailand. and the world’s tallest hotel. 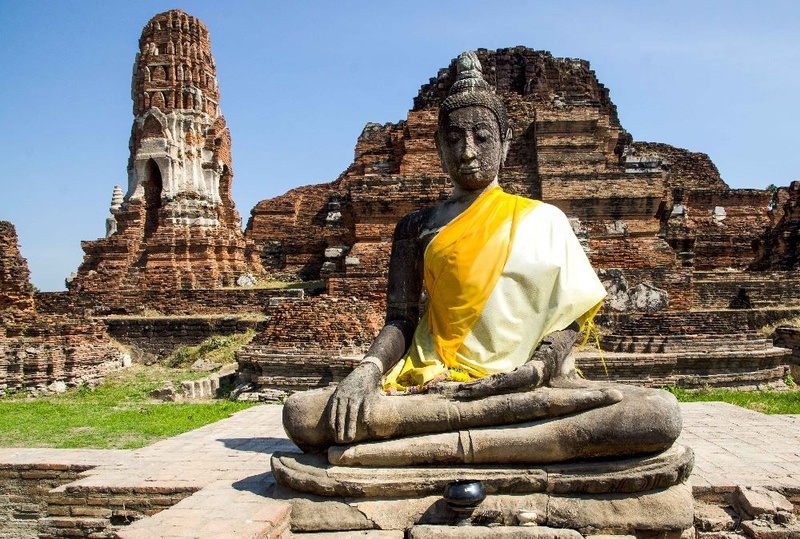 Buddhism is Thailand’s largest religion with approximately 94.6% of the total population. It is surprising to know that only 0.7% are Christians and the rest of the small portions are Muslims and others. 1. The bumblebee bat, which is considered as the smallest mammal in the world can be found in Thailand. 2. The whale shark, the largest fish in the world can be found in Thai waters. 4. 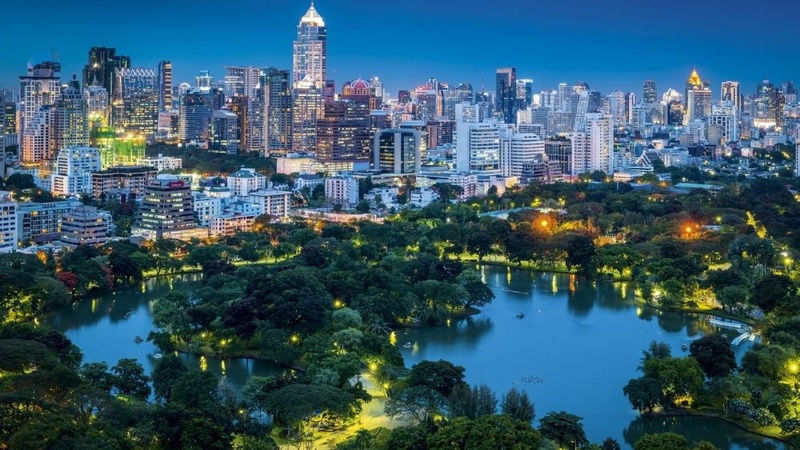 One-tenth of the entire population of Thailand lives in its capital which is Bangkok and the largest city in Thailand and considered as the hottest city in the world. 5. Thailand is the world’s largest orchid exporters, there are about 1,500 orchid (Thailand’s capital flower) species in Thailand, this flower are found growing wild in Thai forest. 6. 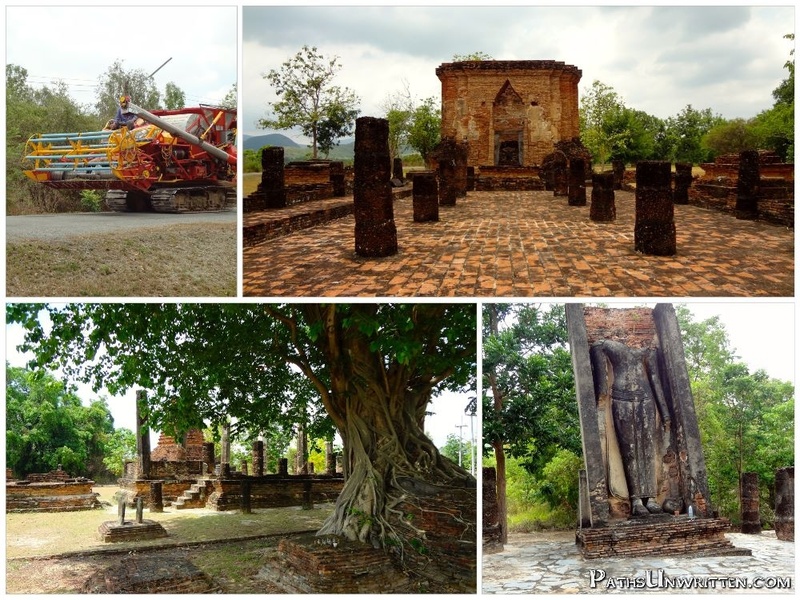 Thailand is really a land of temples, with more than 35,000 temples scattered around. 7. Thailand has more birds than Europe and America combined. 8. Rice is the most exported crop and just like Philippines it is a staple in Thai cuisine. 9. There are more than 5,000 elephants in Thailand. 11. Thailand’s most curious creatures is the mudskipper, which is a fish that is capable of walking on land and climbing trees. I haven’t heard about this before. 12. One of the world’s most expensive food items can be found in Thai caves. It’s the Swiftlet nests which is made from strands of saliva from the male swiftlet bird. It can be sold for $900 per pound. 13. Thailand is also the home of the world’s longest poisonous snake, the king cobra which can reach more than 18 feet long, it is so poisonous that even one bite can kill an elephant in an instant. 14. The world’s largest Christmas log cake was made in Bangkok in 1997. The cake weighed 5,071 lbs. and reached 27’ 6". 1. In the past, all Thai young men including the kings are required or advised to become Buddhist monks for at least a short period of time before their 20th birthday. 2. Have you heard about a festival for monkeys? Yes there is what they called “The annual Monkey Buffet” in Thailand. I think there’s no other country that celebrates this kind of weird festival. 3. Have you heard of the “Bridge Over the River Kwai”? It is found in Thailand and it’s amazing and sad to note that there were about 80,000 people died during the whole time the railway was made. That was too much to be sacrificed just to finish the project. 4. Thailand is made up of approximately 1,430 islands. Many of the islands have become famous for being featured in Hollywood films. 5. I’ve been drinking Red Bull before and just knew that this world-famous energy drink, has its roots in Thailand. 7. The longest place name in the world is the full name of Bangkok, the capital city of Thailand: Krungthepmahanakhon Amonrattanakosin Mahintharayutthaya Mahadilokphop Noppharatratchathaniburirom Udomratchaniwetmahasathan Amonphimanawatansathit Sakkathattiyawitsanukamprasit. We also have to take note that in Thailand the Head is the most important part of the body (anyone who wish or plan to visit Thailand should bear in mind that touching their head even that of the kids is prohibited) while the feet is considered lowly. It is prohibited for a person to sit with his feet pointing to a statue in a temple or at some other person. 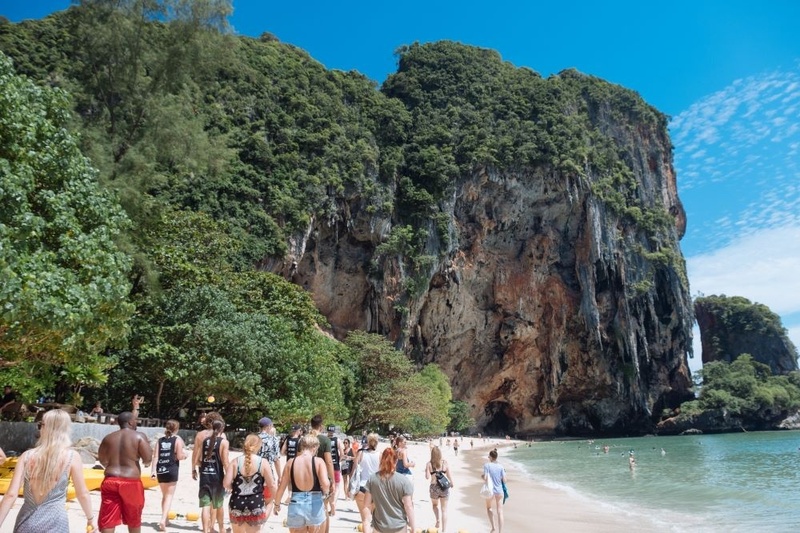 Thailand’s most famous beach destinations can be found in Krabi province. And Raily is the cream of the crop, the most stunning beaches in Thailand. When you’re there you will have the feeling of being in a paradise with its white sand beaches and clear blue water. Other exciting activities you can find here is the rock climbing and caves exploration. 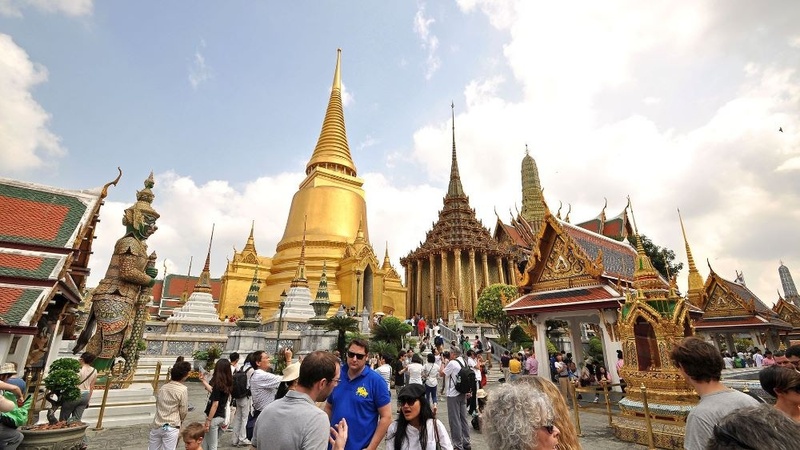 Aside from their beautiful beaches it is also a must to visit The Grand Palace which is located in the capital and considered as the number one tourist attraction in the city. 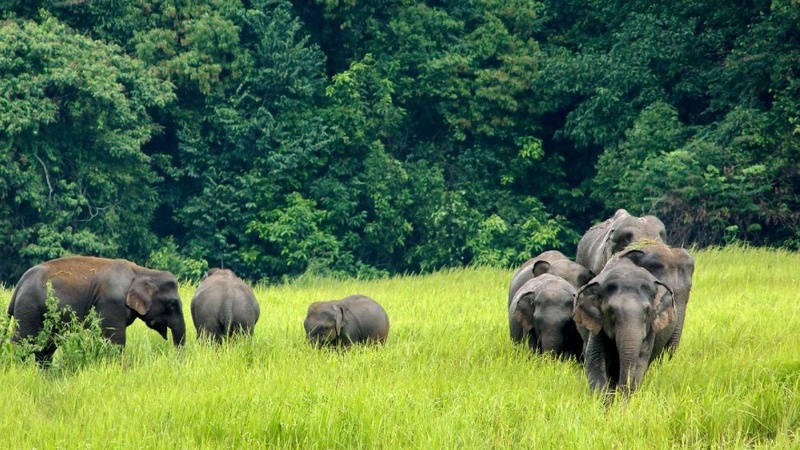 Thailand is famous with their Elephants and the chance to see these creatures in their natural environment, get involved with their daily activities including eating and bathing, etc is available in the third largest National Park in Thailand the Khao Yai National Park. I really love the scenery of this place. It’s a perfect place to take pictures, in fact this is the favorite stop of those photography enthusiasts. I also love to take pictures of myself and perhaps my family with these in the background, the ruins of the former capital which was destroyed by the Burmese Army in 1767. 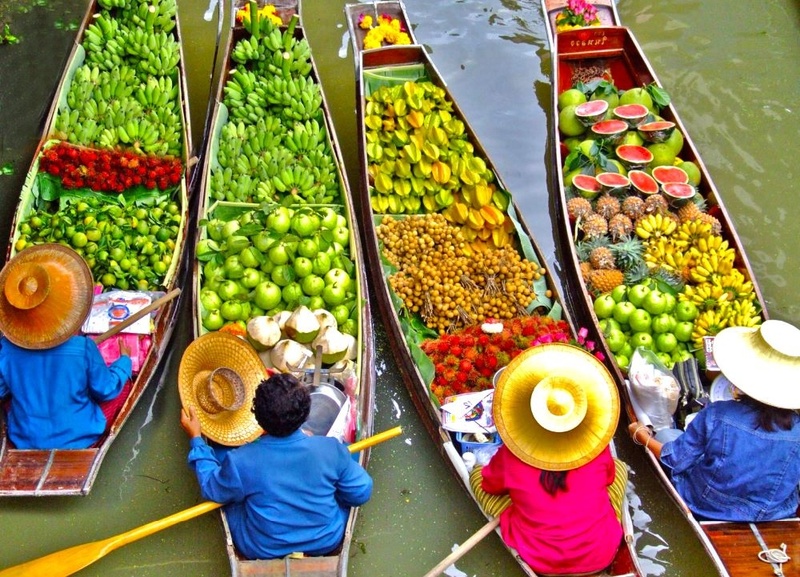 I’m not sure if we have floating markets in the Philippines but I think this is just present in Thailand and some other Southeast Asian countries like China and Vietnam. Visiting and experiencing this could be fun aside from being able to support the local vendors. By: TRB - A father of 5, an Overseas Filipino Worker and willing to be part of the worldwide campaign against poverty, climate change, and inequality. A simple ordinary person with BIG dreams, willing to sacrifice a little for the sake of my family. Hope to meet new friends here. Best destination? I thought it's the Philippines? Lol. who is the blondie from right margin? Will include it in my list.